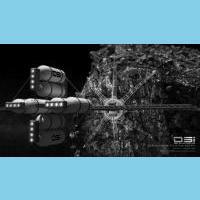 Hordes of spaceships might soon start mining the asteroids for minerals, fuel and for materials to build spare parts for long space journeys in space, in case if one of the new private space enterprise becomes successful. At a news conference, which took place at the Museum of Flying in Santa Monica last Tuesday, officials from Deep Space Industries (DSi) stated that collecting the resources that are available on the giant rocks flying in the space might be a great place for spaceships to build spare parts or to refill their fuel tanks on the way to the red planet. Deep Space Industries is hoping to launch a small, economical spaceship, which weighs about 25kg (55 pounds) by the year 2015. The spacecraft will be named fireflies, and would be using the existing technology and will be deployed with the larger communication satellites that are being launched into the space. One one-way trip like this would cost around $20 million for the customers and would take about 2 to 6 months of time, which depends on the distance to the asteroid – states Rick Tumlinson, Chairman of the private space enterprise. And in 2016, DSi is planning to launch somewhat larger spacecrafts named dragonflies that would weigh around 27kg – 70kg (60 – 150 punds), which would return to earth with asteroid samples for analysis by scientists, after 2 to 4 year long space missions. 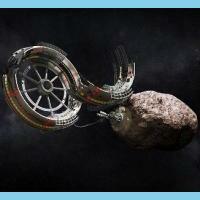 The company hopes to be capable of mining the asteroids for both metals and fuel, eventually.